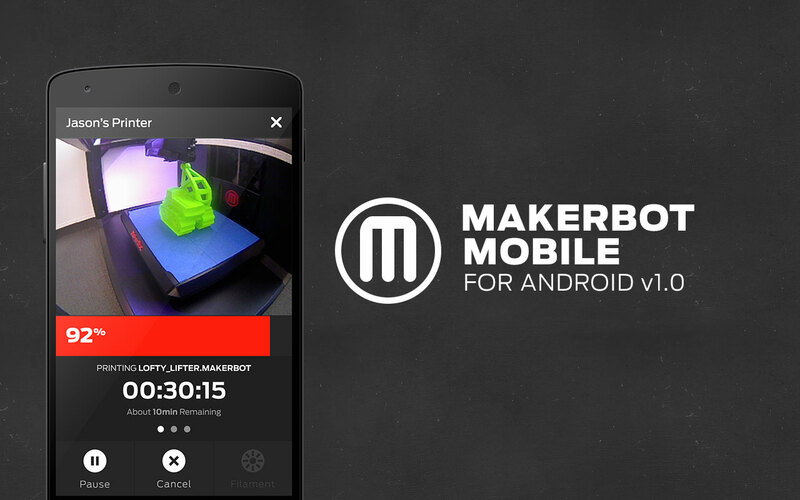 Soon after the release of MakerBot Mobile for iOS this year, we got to work on a version for Android. In order to get the best of MakerBot Mobile out quickly to our users, we decided to release it with the core features. Android users who own a MakerBot 5th Generation 3D Printer will be able to browse their cloud library and start prints over their Wi-Fi network. While printing, they can monitor the progress of a print, cancel the print, and even initiate the changing of filament in the printer. 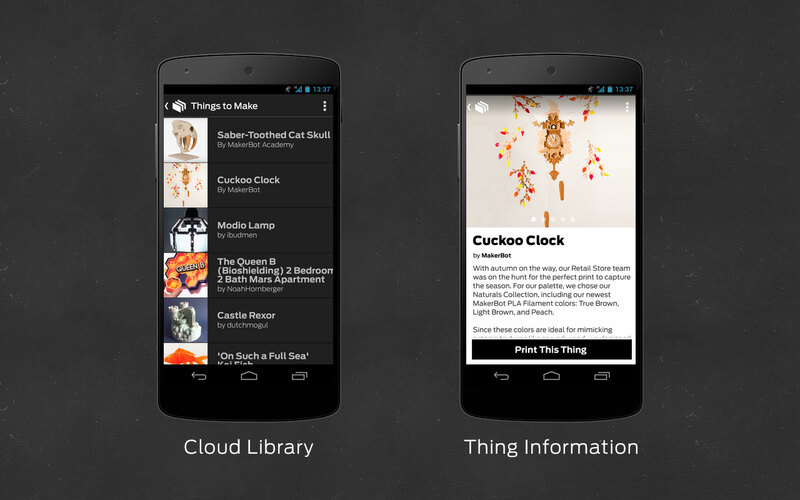 One trick that we also added was communication with our Thingiverse Android app. If you have both apps installed, you’ll be able to browse Thingiverse for awesome designs and send them straight to MakerBot Mobile to print. 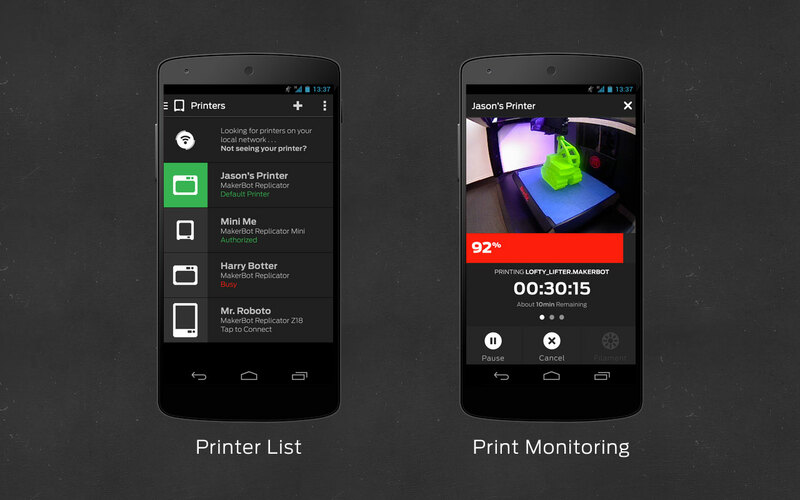 We’ve got exciting plans for MakerBot Mobile on Android (and iOS) in 2015 with plenty of new features and improvements, including the ability to start and monitor a print via your cellular network!